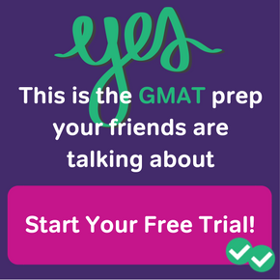 Here are five new GMAT CR practice questions, hot off the presses. 1) When, on a particular shopping trip, a consumer purchases an item which he previously had no intention of purchasing, this sale is called an “impulse purchase.” The objects of impulse purchases are occasionally essential items (i.e. items that satisfy basic subsistence needs), but much more frequently are luxury or non-essential items. Researchers have determined that, at the end of a shopping trip, a consumer is much more excited if she has bought a luxury item on an impulse purchase, than if she had made no impulse purchases. If the information above is true, and if the researchers’ investigation was properly conducted, then which of the following must also be true? (A) The impulse purchase of a luxury or non-essential item is more exciting than the impulse purchase of an essential need. (B) A consumer who, for whatever reason, is not able to purchase an item she had planned to buy is necessarily disappointed. (C) Consumers seeking a high level of excitement often make impulse purchases. (D) The researcher had a reliable way to determine whether the consumer had planned to buy the luxury or non-essential item he purchased on that trip. (E) The probability that a consumer makes an impulse purchase of an item decreases the price of the item increases. 2) Over the past ten years, the population of Dismiston has grown five times as large as it was. During this time, the average income in the city has risen substantially, and a tremendous amount of capital has flowed into city. An independent audit found that, somewhat surprisingly, the number of violent felonies reported per year is now lower than it was ten years ago. (A) White collar crimes, which are almost always non-violent, tend to replace street-crimes during times of prosperity. (B) The police now have a computerized filing system, so that it is almost impossible for a violent crime to be unrecorded. (C) During this time, the state considerably lengthened felony convicts’ waiting period for parole. (D) The police force has expanded in number and is equipped with the latest crime detection technology. (E) The city is now much better lit at night, and security cameras protect a large number of public venues. 3) Archeologists have discovered three sites showing conclusive evidence for the mastery of fire in Tanzania, from a period slightly after the time that Homo habilis was present in Africa. These sites clearly were founded by Homo erectus, the descendent species of Homo habilis that migrated north, out of Africa and into Asia. Homo erectus was known to have mastered fire, from ample evidence at sites in Asia. There is no reason to attribute mastery of fire to Homo ergaster, the descendent species of Homo habilis that remained in Africa. (A) Before their migration, Homo erectus occupied African territory as far south as Tanzania. (B) The strain of migration provided the selective pressure motivating Homo erectus‘ mastery of fire. (C) Homo ergaster would not have derived as much benefit from the mastery of fire as did Homo erectus. (D) Homo ergaster inherited all cultural knowledge from Homo habilis, a species that did not have mastery of fire. (E) Homo ergaster did not occupy regions as far south as Tanzania until well after the time of these three sites. 4) Five years ago, the town of Bayside, in the Katontic River Valley, had catastrophic flooding one spring, and consequently, most insurers now refuse to write flood insurance for houses in Bayside. The town of Dryadia, in the Phemptic River Valley, is much like Bayside in its proximity to a similar river at an almost identical point in the river valley. We can conclude that the only reason the same insurers do not write flood insurance for houses in Dryadia either is its similarity to Bayside in terms of where it is situated in the river valley. Which of the following, if true, would most seriously undermine the argument? (A) A small number of independent insurers will write flood insurance for at least some houses in each of the two towns. (B) It is hard for an homeownr to buy flood insurance if a large proportion of other houses in the same town have been flooded in recent years. (C) In many other towns in the Katonic River Valley, it is hard for home-owners to buy flood insurance. (D) The town of Dryadia has some flooding most springs. (E) Flooding from spring surges in rivers is only one of the ways in which a home can become flooded. 5) More than 80% of the executives in the county attended high school in the county, and clearly they represent some of the brightest in the county. Among the seventeen high schools in the county, the three in the coastal towns have had the highest test scores in the county for several decades. A recent study show that almost all of the county executives who attended high school in the county attended one of those three high schools in the coastal towns. The argument above is most vulnerable to criticism on which grounds? (A) The argument does not take into account the significant salary difference between jobs in government and careers in the private sector. (B) The argument inappropriately posits a causal relationship between academic intelligence and the ability to govern effectively. (C) The argument assumes without basis that these county executives were above-average students at their respective high schools. (D) The argument does not consider that all county executive now work in the county seat, which has the lowest scoring high schools in the county. (E) The argument fails to note that one inland high has high scores similar to the three on the coast, and yet no current county executive attended it. 1) The credited answer is choice (D). 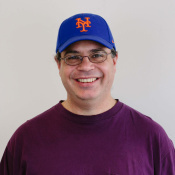 If the researcher concluded anything about how an impulse purchase made someone feel, then the researcher had to know that it was an impulse purchase, that is, that the purchase was not planned. If the researcher had no way to determine whether a purchase was planned or unplanned, then the researcher would have no way of determining which purchases were impulse purchases. We know the consumer find the impulse purchase of a luxury item more exciting than the planned purchases. We don’t necessarily know how exciting the impulse purchase of an essential need is — maybe it’s less exciting than the impulse purchase of a luxury item, or maybe it’s just as exciting. We cannot determine this from information in the prompt, so choice (A) is incorrect. We only know about the excitement brought about by an impulse purchase of a luxury item, but we have no information about what happens if a purchase is planned but not made. Choice (B) inappropriate extends the pattern into situations the prompt doesn’t cover at all. Choice (B) is incorrect. We know that the impulse purchase of a luxury item is exciting, but we don’t know whether this is sufficient inducement for a person seeking excitement to make this kind of purchase frequently. The expense, for example, might be a mitigating factor. We can conclude nothing for certain about this, so choice (C) is incorrect. This is a tempting one — we certainly might suspect that the luxury items of higher price would be bought as impulse purchases less frequently. We might suspect this, but notice that the prompt says nothing about high price vs. low price items. This answer choice invites us to bring in irrelevant outside knowledge. Choice (E) is incorrect. 2) This is an EXCEPT question. Four of the answer will be perfectly valid explanations, and these will be incorrect. One of the answers will not be good explanation —- either it will be irrelevant, or it may even suggest a rise instead of a decline; this oddball choice will be the correct answer. The credited answer is (B). The new filing system, in essence, never misses the report of a violent crime. This at least implies that perhaps the previous filing system missed some violent crimes on occasion — for whatever reason, some violent crimes that took place slipped through the cracks and failed to be reported. Well, if we were not reporting everything before, and are reporting everything now, if anything this might suggest an increase in the number of reported violent crimes. It most certainly would not, by itself, explain a decrease. This is not in any way a good explanation, so this the correct answer. We know, over the past decade, “the average income in the city has risen substantially” and “a tremendous amount of capital has flowed into city,” both of which indicate conditions of prosperity. Therefore, according to choice (A), white-collar crimes would increase, and street-crimes would decrease, with a concomitant drop in violent crimes. Choice (A) is a valid explanation, so it’s an incorrect answer. If the state kept convicts in jail longer, that would mean fewer of them would be back out on the streets committing felonies, most of which are violent. Therefore, it would lead to a drop in the number of violent crimes. Choice (C) is a valid explanation, so it’s an incorrect answer. Better police and better crime detection means more arrests and fewer violent crimes. Therefore, it would lead to a drop in the number of violent crimes. Choice (D) is a valid explanation, so it’s an incorrect answer. Better lighting at night and security cameras have some effect in reducing crime. Choice (E) is a valid explanation, so it’s an incorrect answer. 3) Remains of prehistoric fire were found in Tanzania. The author says that Homo erectus made these fires, and that there’s no reason to assume Homo ergaster did. What is a necessary assumption? The credited answer is choice (A). Homo erectus had to be as far south as Tanzania — if they were not, there would be no way they could have made those fires there, which would seem to indicate that Homo ergaster made them after all. Negating this statement devastates the argument, which is a confirmation that we have an assumption. Whatever might have caused Homo erectus to master fire doesn’t clarify who made those fires in Tanzania: Homo erectus or Homo ergaster? Choice (B) is not correct. Suppose Homo ergaster would have derived as much benefit from the master of fire as did the Homo erectus, or even more benefit. That fact, by itself, would imply nothing about which one of these species created those fires in Tanzania. Denying this doesn’t change the validity of the argument. Choice (C) is not correct. Choice (D) is intriguing, because it may be true. Both Homo erectus and Homo ergaster evolved from Homo habilis, so it’s quite likely that the Homo habilis was the sole source of cultural knowledge for either of these species. BUT, we know that Homo erectus, presumably without the benefit of cultural knowledge about fire, was able to master fire. If Homo erectus did that, why couldn’t Homo ergaster? In other words, the limits of the cultural knowledge inherited does not necessarily set limits on what these human species could achieve. Therefore, we can draw no conclusion with respect to this argument. Choice (D) is not correct. If Choice (E) were true, it would support the argument, but a supporting statement is not necessarily an assumption. We have to use the Negation Test. Suppose Homo ergaster was all over in Tanzania, before & during & after the time that those fires were created. Would that prove Homo ergaster started those fires? Not necessarily. It could still be true that both Homo ergaster and Homo erectus occupied that region, that only the latter had mastered fire, and therefore, that the later had to start those fires in Tanzania. Thus, we can deny choice and it doesn’t necessarily contradict the argument. Therefore, it is not an assumption. Choice (E) is not correct. 4) The credited answer is choice (D). If the town of Dryadia really does flood, then that’s the reason insurers won’t write flood insurance for it! Therefore, the “only reason” cannot be “its similarity to Bayside in terms of where it is situated in the river valley.” Choice (D), if true, obliterates the argument, so this is the best answer. The argument say that “most insurers” don’t write flood insurance in either town, but if most don’t, this implies that some do. Therefore, choice (A) is actually expected from the argument and does not challenge it at all. Choice (A) is incorrect. Choice (B) would not be surprising, and could be perfectly consistent with the argument. We know Bayside had “catastrophic flooding“, but we don’t know for a fact that every single house was flooded — maybe or maybe not. If some houses were not flooded, it sounds as if the insurers don’t write flood insurance for any house in Bayside, so even those houses that never flooded could not buy flood insurance. Therefore, this would validate (B) without threatening the argument in any way. Choice (B) is incorrect. Choice (C) is irrelevant. Even if no resident in absolutely any other town up and down the Katonic River Valley can buy flood insurance, that doesn’t necessarily shed light on why folks in a town in a completely different river valley can’t buy insurance. Choice (C) is incorrect. Choice (E) is too general and vague. Yes, perhaps there are many ways a house can be flooded, and correspondingly, perhaps there are many reasons why an insurer would deny any particular house flood insurance. Even if this is true, it doesn’t shed any light on exactly why the folks in Dryadia have trouble getting flood insurance. Choice (E) is suggestive, but it doesn’t actually tell us anything. Choice (E) is incorrect. 5) The conclusion is that the county executives, at least the 80% who went to high schools in the county, are among the brightest in the county. We want a statement that will attack or weaken this conclusion. The credited answer is choice (C), which points out an assumption without basis. Let’s use the Negation test. Suppose those county executives were not above-average: suppose in fact they were among the lowest performing students at their schools. Even though three schools were very impressive, being at the bottom of the class at them is not necessarily so impressive. Therefore, if the negation of this statement is true, it devastates the argument, which indicates that the statement is indeed an assumption of the argument, and of course the prompt gives no justification for assuming this assumption is true. This is a potent criticism of the argument. It’s true that the argument does not address the salary difference between government jobs and the private sector, but even if the best private sector jobs pay far more that do government jobs (as they probably do! ), that doesn’t necessarily mean the most talented people will pursue those the private sector jobs over the government jobs. This does not necessarily constitute any objection to the argument. Choice (A) is incorrect. The argument says nothing about how effectively these county executives are governing the county. The argument is only making a claim about their intelligence, no more. Therefore, any relationship between academic intelligence and the ability to govern effectively is irrelevant to this argument. Choice (B) is incorrect. Where the county executives now work has no bearing on where they went to school as teenagers. Adults sometimes move away from hometowns when they get jobs: that’s a quite common phenomenon. Choice (D) is incorrect. The county executives went to the three top-scoring high schools. The fact that there’s a fourth almost-as-good high school, which no county executive attended, has no implications whatsoever on the talent of the these county executives who attended the first three schools. Choice (E) is incorrect. I will share my reasoning for A and B.
for B, because the system is impossible to unrecorded, it implies that all records are real violent and that previous system will miss some violent, stimulus states violent decreases, we can infer previous crimes is more than current crimes under accurate system, it explains the decrease. appreciate if point my fault. In the case of A, we are told that white-collar crimes (which are financial crimes like embezzling money or tax fraud) replace street crime (which could be any range of violent or nonviolent crimes). While collar crimes never involve violence (it goes against their very definition) while street crimes may sometimes involve violence (a pickpocket is a street crime that doesn’t involve violence while a mugging is a street crime that does.) This is basically arguing that the crime rate went down because a crime that is never violence replace a crime that is sometimes violent. If this is the case, then the violent crime rate will go down, even if not all of the original street crimes were violent! My question with the answer for question #5 is why would it matter where the executives graduated within their classes? Shouldn’t the fact that they attended schools with the best average test scores be reason enough to choose B and ignore C? White collar crimes, which are almost always non-violent, tend to replace street-crimes during times of prosperity. The police now have a computerized filing system, so that it is almost impossible for a violent crime to be unrecorded. During this time, the state considerably lengthened felony convicts’ waiting period for parole. The police force has expanded in number and is equipped with the latest crime detection technology. The city is now much better lit at night, and security cameras protect a large number of public venues. A. White collar crimes increased -> They replaced street crimes. My view was there is no relation/information about violent crimes and street crimes so wasn’t sure whether option is either correct or wrong. This option neither weakens nor supports the arguement. B. Police have a computerized filling system now. So, it is impossible for violent crime to go unrecorded -> This option might actually deter a criminal to NOT to do a crime there by reducing the number of violent crimes. In this case, it supports the argument. Therefore, I chose A. Could you please tell me where exactly am I missing the point? How do I “fix” my CR skill to think in the way you answered the question above? Please help. I’m happy to respond. 🙂 “Street crimes” is one of those real world terms that with which you may have to be familiar — if not on the GMAT, then certainly in understanding news and real world situations. A “street crime” is a crime that is committed by common criminals on the street — personal robberies, sexual crimes, gang fights, drug deals, murder, etc. These always involve at least the threat of violence, and because of this, they often become violent. Again, this is real world background information you need to know. 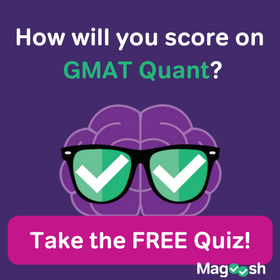 This blog is the first in a series about general real-world information that is good to know as background for GMAT CR questions. It’s a funny paradox about the GMAT CR. 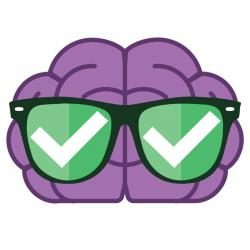 Technically, you don’t need outside information, but the more well informed you are about the news, about the push and pull of real world forces, the better you will be at GMAT CR. That’s why (A) is definitively relevant. Now, with (B), it’s tricky. The police have a new filing system, so that now, every felony is recorded. The implication is that this is an improvement, so presumably, with the earlier filing system, not every felony was recorded — some real felonies happened, but their records slipped through the cracks and vanished. Well, if some felonies weren’t recorded beforehand, and other are recorded now, that would lead to MORE recorded felonies. This doesn’t explain the drop. Now, as for your logic, again this is real world stuff. Go to a crime-infested area and ask the drug dealers and robbers and murderers how well informed they are about the latest technology in police paperwork. OK, I’m joking, don’t actually go there, because I don’t want you to be harmed, but I would bet that the vast majority of those folks know very little about how the police file information, and even if they did, it would play absolutely no role in their decision to commit a crime. Crime is driven by powerful forces — poverty, social alienation, mental illness. etc. You are thinking rationally about what would be in a criminal’s best interest. Criminals by and large don’t think this way — if they could, they probably wouldn’t be criminals! I going to guess that you are an honest law-abiding citizen who doesn’t even know any criminals personally. I would suggest: read the newspaper. Read a little about some famous crimes, and about the operating style and motivation of criminals. It’s very good to appreciate that not everyone in this world acts rationally or even in a way that is consonant with their long-term well-being. Similarly, in the business world, there are the choices that would be in the best interests of consumers, and then there’s what people actually buy, and sometimes this latter confounds all rational expectation. 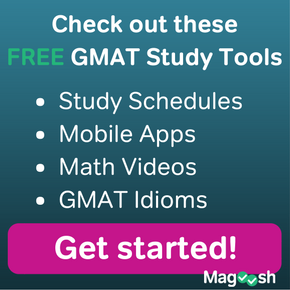 Again, this real-world background sense is indispensable for the GMAT CR. The third Question Archeologists have discovered three sites …. I have a doubt in this case. Please help me with this.Thanks for your help! BTW all the questions were of high quality! An assumption for an argument is “necessary” but not “sufficient”. Those are two logical terms. In other words, the argument can’t be true if the assumption if false, but if the assumption is true, that, by itself, does not guarantee the truth of the argument. We are not looking for something that proves the argument beyond any shadow of doubt. We are simply looking for the assumption, and if assumption is false, the argument fails. That’s an extremely important distinction to understand. The argument doesn’t mention the word “south”, it is true. You don’t need outside knowledge in the sense of a detailed understand of paleontology, but it’s very good to have a basic sense of geography — approximately where a country such as Tanzanian would be located. If you have absolute no idea where Tanzania is, I would say you had better study a world map and get more familiar with it. Yes, I do understand this .So if I’m not wrong,If i had know that Tanzania was in the south of africe, I would have solved this question.But as far as I have seen, real/official gmat questions never have relied upon external information. Do you agree that a very critical piece of information that was required to solve this problem depended on whether I knew Tanzania was in the south or not? Please let me know if my views are correct and again appreciate your timely response. The text of the answer choice simply says “as far south as Tanzania”, implying that, wherever it was, Homo erectus was there. I don’t believe exact geographic knowledge was needed to solve this particular question. Nevertheless, if you want to be successful, on the GMAT and in the modern global business world, you should be well-acquainted with where countries are located on the world map.